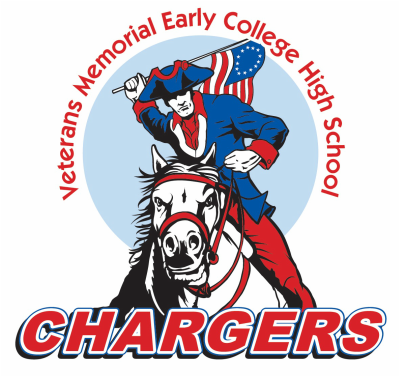 Veterans Memorial Early College High school is located in Brownsville, Texas. Veterans Memorial High School is one of seven high schools in Brownsville ISD. The campus was constructed in 2010. The 360,000 square-foot school sits on an 80-acre site on Military Highway. The courtyard has a series of pergolas that provide shaded seating areas for students and faculty. Veterans Memorial will be the first BISD high school to have its own football and soccer stadium, a 5,000 seat facility with an all-weather track. It also has 1,000-seat baseball and softball stadiums, as well as practice fields and tennis and basketball courts. All safety standards have been met and all of the building is accessible to students, staff, and visitors with disabilities. Veterans Memorial High School houses the STAMP Program, which is BISD’s magnet school for the science, technology, architecture, and medical professions. The goals of this program are as follows: (1) Improve mathematics and science achievement among all Brownsville students; (2) Increase the number of students who study and enter science, technology, engineering, architecture/design, and medical profession careers (STEM); (3) Provide students with the ability to earn college credits while attending high school. (4) Increase the number of students who enter a post-secondary institution. Veterans Memorial High School promotes numerous student clubs and organizations. Students are encouraged to participate in any of the many extracurricular activities offered at our campus: fine arts, athletics, student council, and a host of other clubs and organizations. Additionally, our school promotes student involvement in all district co-curricular activities (including Science Fair, History Fair, and UIL Academics). Many of these activities lead to campus level competitions where the winners of these contests move on to compete at the District, Regional, State, and National levels. Veterans Memorial High School is committed to providing Excellence in Education for all students. The school provides programs and learning experiences that promote academic achievement and career programs of study for the personal and social growth of every student. As a richly diverse community of learners that values all its members, Veterans Memorial High School contributes to the local community by linking parents, local agencies and businesses to the school. You’re our home, we’re your own, Hail to Vete-ran’s High. School Motto: Home of the Brave!